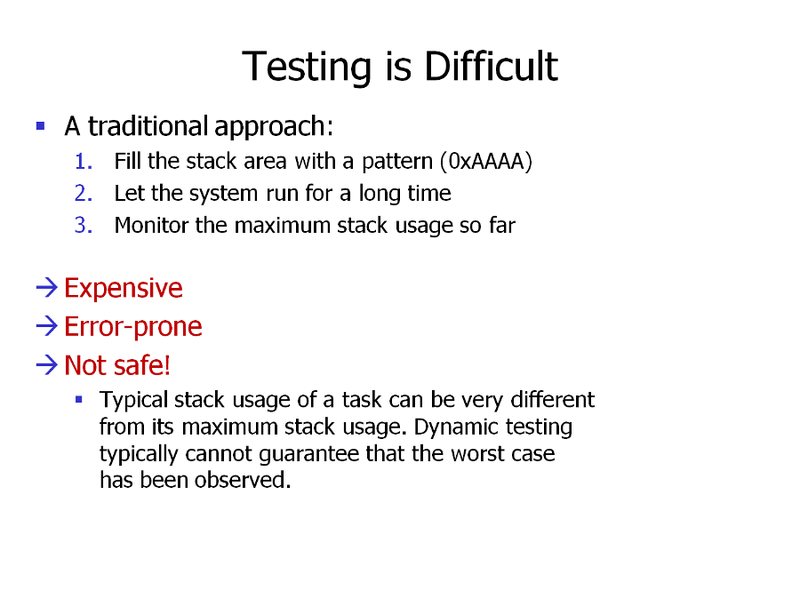 Simply testing by repeatedly measuring the stack usage of a task is not only tedious, but also typ­i­cally not safe. 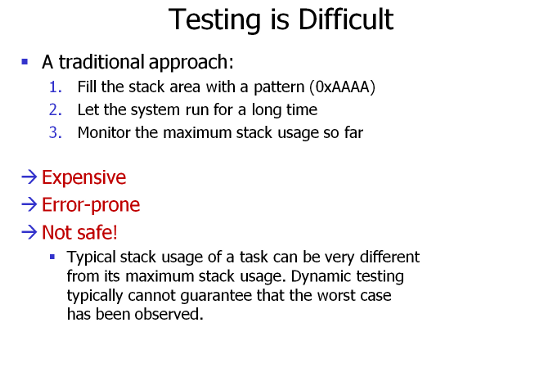 It is often impossible to prove that the conditions determining maximum stack usage have been taken into account. This is one of the reasons why safety standards such as DO-178B expressly state that testing alone simply isn’t enough to prove the absence of errors.